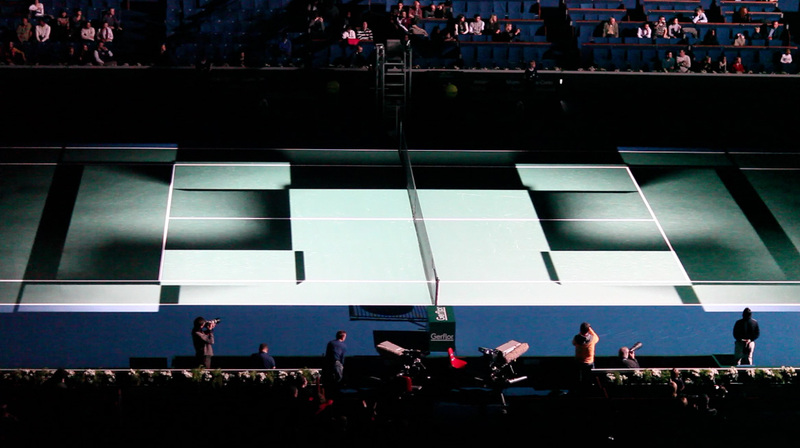 This year the setup has been extended with a virtual mc, announcing the match in realtime 3d. 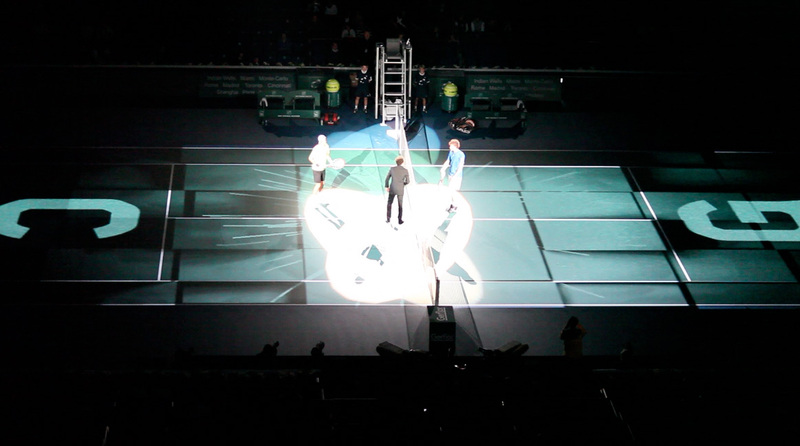 We did some new footage to project on the tennis ground, just before the players start the match. Here are two snapshots. Projected using MadMapper and a custom QC software. 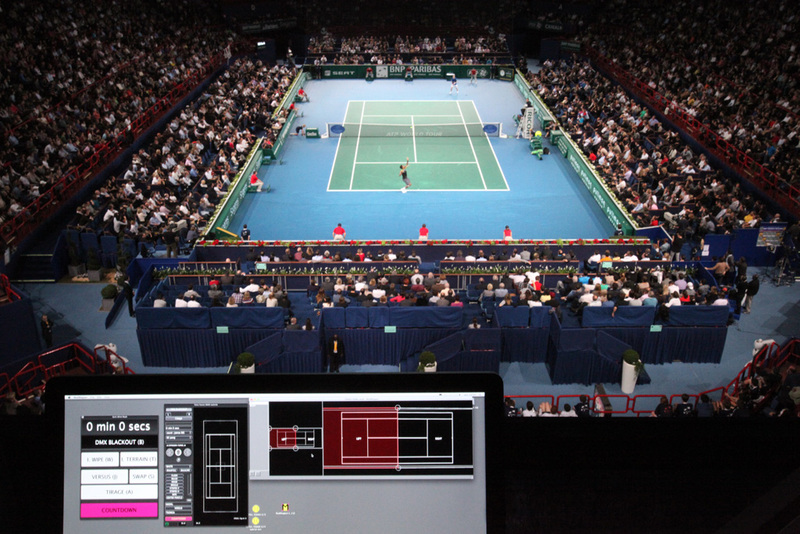 As stated earlier, we’re currently developing a cute little software to drive the Tennis Masters stroboscopes array. 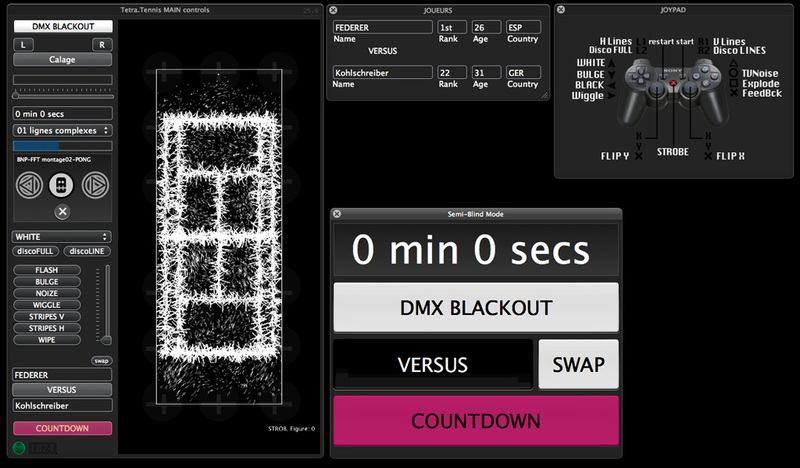 We’re currently controlling everything through Midi, which is then translated into DMX signal internally. 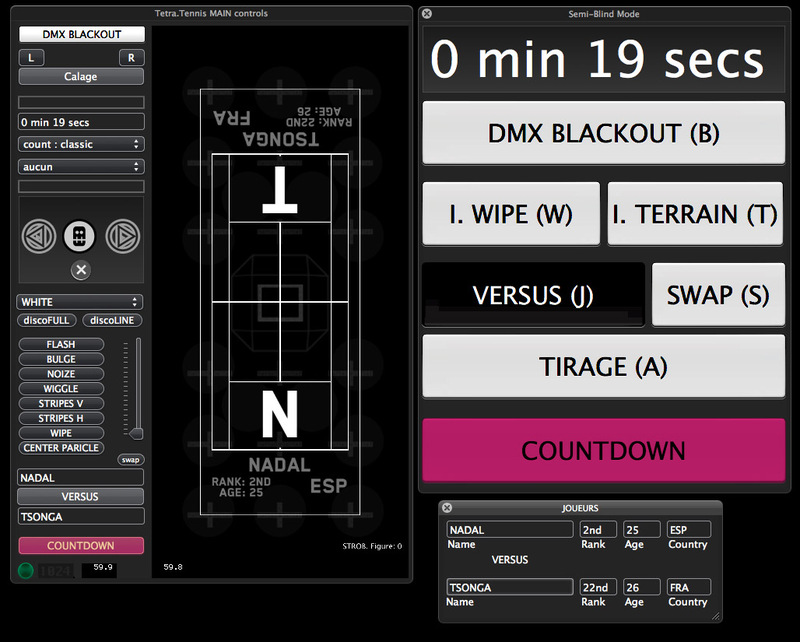 Here’s a snapshot of the software in progress.